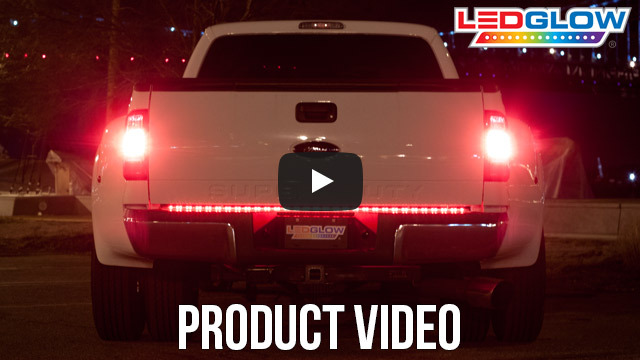 LEDGlow's 36" TailFlex® LED Light Bar is a flexible tailgate light bar that features 36 ultra-bright red LEDs that will alert other drivers with running, brake, hazard and turn signal light functions. LEDGlow’s 36" Inch" TailFlex® LED Light Bar allows you to bend and curve your light bar for that perfect fit on your SUV or Jeep’s curved tailgate, as well as adding extra visibility to your vehicle’s signals. This flexible 36” tailgate LED light bar is available in two options that feature 36 ultra-bright red LEDs that will effectively alert other motorists on the road with running, brake, hazards and turn signal light functions, as well as 18 white LEDs for reverse signals that are only featured with the red and white flex tailgate light bar option. A flat 4 pin trailer connection harness is included with each flexible tailgate light bar that offers plug and play connectivity and features 38 inches of wire length for maximum mounting capabilities. 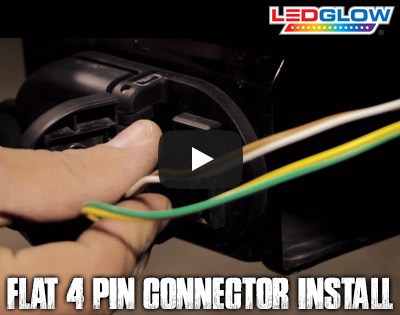 If your vehicle doesn’t have a trailer connection or you’re looking for a secure, hardwired connection, you can easily splice the light bar’s wires into your SUV’s tail light signal wires. Mounting this tailgate LED light bar is a breeze with the double sided 3M™ Tape as well as using the included mounting brackets and self-tapping screws for added reinforcement. LEDGlow includes a one year warranty and free lifetime technical support with each flexible tailgate light bar purchase. 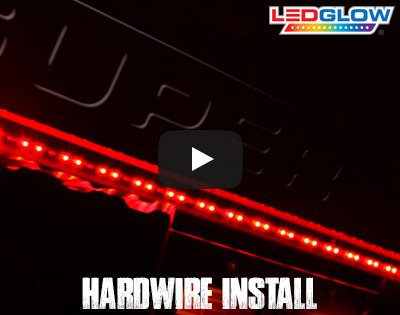 LEDGlow offers an optional Tailgate Light Bar Y-Splitter Harness that allows you to easily install your light bar to your truck’s flat 4 pin connector, as well as powering your trailer lights simultaneously from the same harness. This y-splitter harness features a length of 18" with 9" of wire for both tailgate light bar and trailer lights connections. Installed one in the past and have not had an issue in the over 2 years. changed vehicles and am adding to the new one. installs easily and even without using the plastic retainers has not even started to peel off with only the double sided tape on the back even in car washes.